heliosolaire offers you the complete range of LG photovoltaic modules with the new technology CELLO the South Korean manufacturer offers high yield photovoltaic modules with exceptional technical qualities. Moreover the IEC standard has awarded three times the TOP quality mark BRAND PV sign of the highest recommendation. The power of LG’s monocrystalline photovoltaic panels up to 365 Wp, LG photovoltaic panels are also well suited for applications connected in residential, solar power plant or large roof project. Thanks to its 60 cells, the LG Neon photovoltaic module is the ideal solution for all applications. The rear of the cell used within LG NeON ™ 2 generates electricity, as does the front; the light beam reflected from the rear of the module is reabsorbed to generate a high amount of additional energy. LG-Neon-R-solar-panel-heliosolaire.pdf LG’s new solar module, the Neon R series combines aesthetics and high performance up to 365 Wp, this solar module LG is a real asset for any solar project. Equipped with 60 photovoltaic cells, the solar module withstands a pressure of 6000 Pascal and has a 25-year warranty. LG-Neon-2.pdf LG’s new solar module, the Neon 2 series combines aesthetics and high performance up to 365 Wp, this solar module LG is a real asset for any solar project. This solar module adopts the new CELLO technology which improves the power delivered and the reliability of the solar panel. 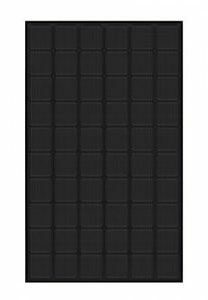 LG-neon-2-black.pdf LG’s new single crystal solar module, the Neon 2 black combines aesthetics and high performance up to 320 Wp, this solar module is a real asset for any solar project. This solar module adopts the new CELLO technology which improves the power delivered and the reliability of the solar panel. The LG Neon 2 BiFacial solar module is based on the well known LG Neon 2 high performance module, winner of the Intersolar 2015 award. Thanks to the additional output of the rear panel of the module added to the power of the front panel of these 60 monocrystalline cells the LG Neon 2 solar photovoltaic module can deliver power up to 375 Wp. The new mono-crystalline solar module of the MonoX series is the development of LG’s known quality criteria: long service life, strong guarantees and simple handling in relation to first-class energy performance and power up to 300 Wp.